Why Sponsor at Border Management? The Border Management Summit has been designed to help the Private and Public sectors come together to discuss a touch stone of U.S. political debate for decades, Border Management and Security. 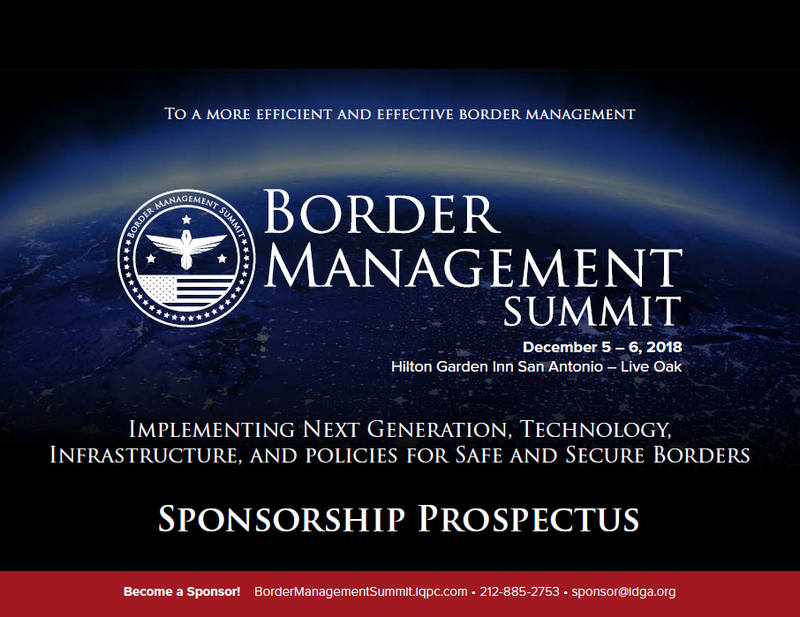 This Border Management Summit will bring together 250+ individuals ranging from ranging from DHS officials, industry executives, elected officials, academia and vendors from across the U.S. and the global to discuss the challenges at the forefront of border management operations, policy and procurement's. Border Management 2019 will offer industry vendors the unprecedented opportunity to showcase their capabilities and network with the most influential collection of stakeholders under one roof, at one time! The 2019 Prospectus explores the top 10 priorities of the VA,Featured speakers, current challenges and solutions for the VA, Sponsorship Opportunities and more!